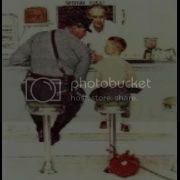 "ALMOST EVERY LITTLE BOY HAS AT SOME POINT IN TIME PLAYED COPS AND ROBBERS. I GET TO DO IT FOR A LIVING, AND IT'S STILL PRETTY DAMNED COOL IN MY HUMBLE OPINION." "WE THE WILLING, LED BY THE UNKNOWING, IN DEFENSE OF THE UNAPPRECIATIVE, HAVE DONE SO MUCH, WITH SO LITTLE FOR SO LONG, ARE NOW QUALIFIED TO DO ANYTHING WITH NOTHING"
AND LAST BUT NOT LEAST THE CRIMINALS WHO PROVIDE ME WITH JOB SECURITY AND ENDLESS BLOG MATERIAL. 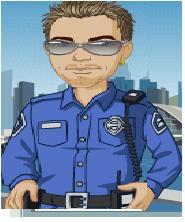 THE ENFORCER IS A 9 YEAR VETERAN POLICE OFFICER FOR THE HOMETOWN POLICE DEPARTMENT. THE ENFORCER WORKS IN THE PATROL DIVISION 3RD PLATOON WHICH IS THE EARLY NIGHTS SHIFT. THE ENFORCER IS A REMARRIED FATHER OF THREE AWESOME KIDS, WHO KEEP ME ON MY TOES BIGTIME. I AM A MASSACHUSETTS REDNECK, I KNOW THAT SOUNDS LIKE AN OXYMORON BUT IT IS TRUE. I LOVE COUNTRY MUSIC, BULL RIDING AND NASCAR. I SERIOUSLY HATE THE HUSTLE AND BUSTLE OF THE CITY.